Whilst troubleshooting a VM hanging issue with a EXSi 5.0 guest running CentOS 5, i noticed a strange error after my last kernel update. 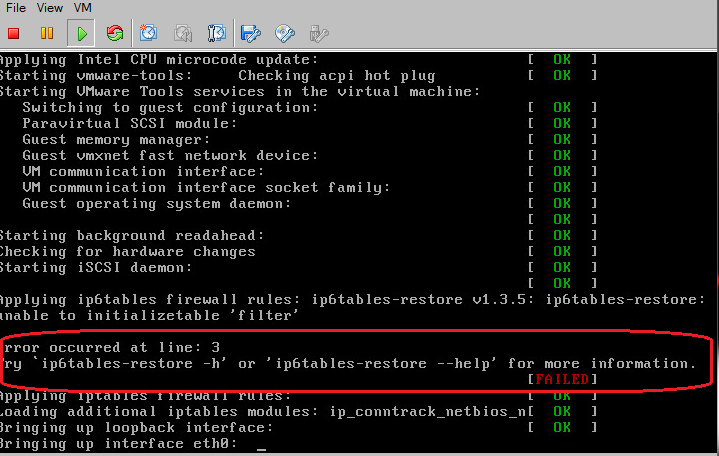 It had me a bit confused, as I distinctly recall disabling all IPv6 support while building the machine. Anyhow, since I don't need IPv6 support at the moment and to avoid any unnecessary red flags while booting, I'll just go ahead and disable it completely. 1. Check to see if it loads on boot. It may or may not help my VM hanging issue, but at least it'd clear that pesky red flag.